Free Motif Shawl Pattern. 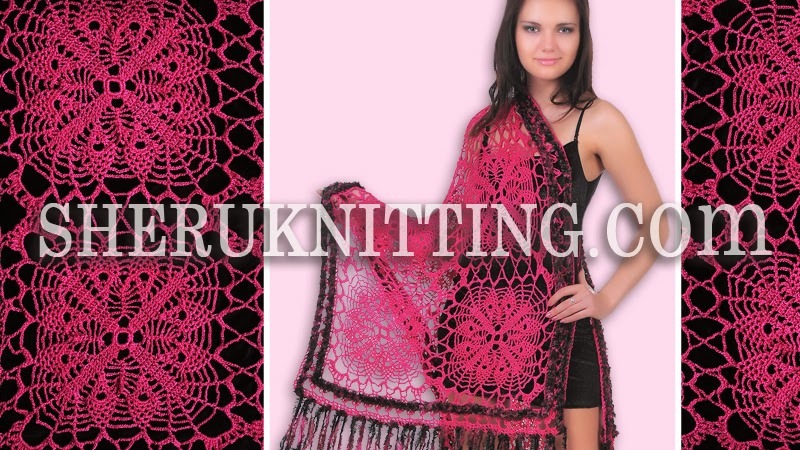 Dreamy-soft and so very stylish crochet shawl or crochet wrap will be a perfect complement to your favorite dress. Big crochet square motifs are joined together with the last crochet round. Crochet long loop trim made of textured yarn on the face side and this trim gives a really fashionable look. Great choice for any occation! Free detailed charts and schematics are provided.